So what’s all the hype about inbound marketing? Let’s start off with a dirty little secret that most marketers do not know. Inbound marketing is a word made up by a company called Hubspot that was used to transform the failing company into a very successful and influential SAAS based company. They became the influencers in the inbound marketing space because they coined the term and luckily for them it caught on like wildfire. This was not the first time a company became influential for coining a marketing term – just ask Joe Pulizzi. So how does Hubspot define inbound marketing? The answer is no. We been doing exactly this for a very long time – as far back as the 1800’s. In fact I would argue that this definition is too closely linked with Joe Pulizzi’s definition of ‘content marketing’. How do I define inbound marketing? 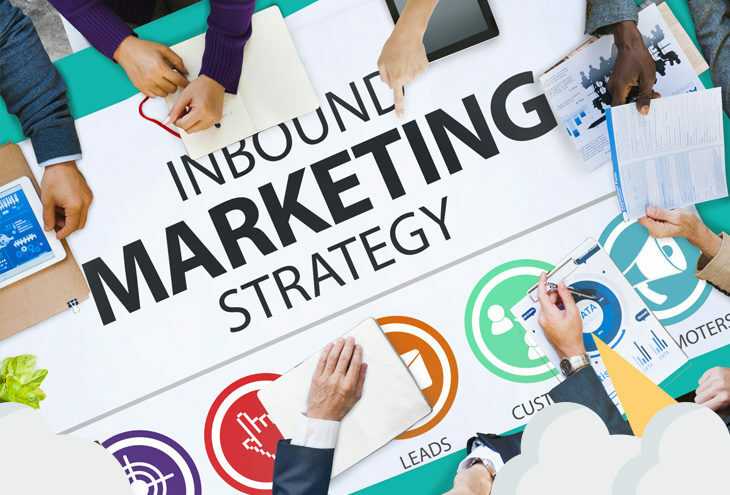 Inbound marketing is all marketing efforts done to either capture the attention of existing subscribers, visitors and customers, or it is the efforts to persuade your subscribers, visitors and customers to take a specific action. It does not matter if it’s an email to your existing customers, a Facebook re-marketing campaign to your past visitors, or a loyalty card at your favourite hotel. You could even just be saying hi, and not selling anything and it would still technically be a form of inbound marketing. The point is that inbound marketing is not a niche but an entire category. The action of inbound marketing is usually linked to grabbing someone’s attention to sell something. The best way to describe inbound marketing is to turn friends into repeat customers. So what is outbound marketing? Outbound marketing is all activities done to get people to visit your website and store who have never visited it before. This also includes turning strangers into visitors or as I like to call it, turning strangers into friends. This is all about getting your name out, using mediums like third party newspapers, websites, third party social platforms and paid advertising to make people aware of what you do and who you are. Outbound marketing is great for introductions and awareness but without a strong inbound marketing plan behind it, it’s usually bad for sales. How do you merge outbound and inbound marketing? Inbound marketing and appointment setting is a full-time job. It is not easy and it is not for everyone. You need to be 100% sure because every second you do one thing, it’s time taken away from another thing that needs your attention just as desperately. The first step is to decide to use the Kanban model to get work done. In short, the Kanban model is a very old managerial approach, which is widely adopted in Silicon Valley for tech start-ups. You do not need to be a tech start-up to make use of it – you can make use of a free piece of online software, ‘Trello’. The objective of the Kanban model is to stop you from starting too many things and help you stay focused on desired outcomes/results.. The next step is to think long and hard and fill in your Kanban model with desired outcomes that will have the greatest impact for your business, and which also have a fast turn around time because momentum breeds more action. Do not focus too much time on things that have a low likelihood of success. You can’t afford to disappoint yourself. You need to review the Kanban model daily and make sure the actions you take daily match the results you want to achieve. You want to manage activity, not time. Did you know that sales is a subset of marketing? The next step is to decide if you want to be a little more like Coca Cola or a little more like Walmart. If you decide that you want to be a little more like Coca Cola, it means that you want to go where the customers are congregating. You will focus on growing audiences on established websites like Facebook, Reddit, Linkedin, Twitter, and external forums. You will also go to events. You strategy is all about going where your customers are over trying to be the platform where your customers go. The Walmart approach is to build the platform where people go, to own the environment and sell your products.This requires you to constantly create valuable and new content on your website, it requires you to encourage traffic to come to your website and get them to subscribe to what you do, what you say and who you are. In my experience it is much harder to do the Walmart approach but it has been done countless time over and over again. This is how most news syndicates work, it’s how many expert bloggers do it and it’s how very smart SAAS companies grow. There is not a wrong way to do this, there is only poor execution. Once you make a real decision and cut all other options off, you need to execute on a high level if you plan on delivering the ‘death blow’ to your competitors in the market place. 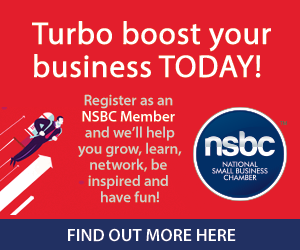 Fatality are proud members of the National Small Business Chamber (NSBC).